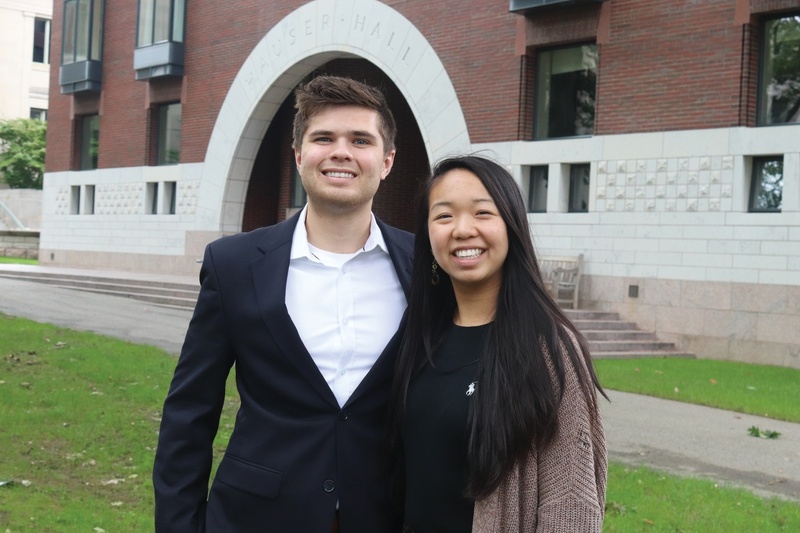 Catherine L. Zhang '19 and Nicholas D. Boucher '19, the president and vice-president of the Undergraduate Council. Undergraduate Council President Catherine L. Zhang ’19 and Vice President Nicholas D. Boucher ’19 said in a recent interview that the UC does not plan to take a public stance on the ongoing lawsuit alleging Harvard discriminates against Asian-American applicants —though some Council membersdisagree with that decision. The suit, brought by anti-affirmative action advocacy group Students for Fair Admissions in 2014, is slated to go to trial Oct. 15 in a Boston courthouse. The trial will likely last for several weeks — but many experts say regardless of what the judge rules, the case will likely wind up before the Supreme Court. The Court’s decision, if it goes against Harvard, could mean the end of affirmative action in the United States. And — following last week’s confirmation of conservative judge Brett M. Kavanaugh to the nation’s highest court — that outcome seems more likely than before. Harvard has repeatedly denied all allegations of discrimination. In the lead-up to the trial, undergraduates, alumni, and more than two dozen campus student groups have spoken out or filed court documents in support of the University. But not the College's student government. Boucher said he wants to ensure students “feel comfortable” expressing their opinions about the lawsuit on campus. Though the Council will remain neutral, Zhang wrote in a later text that she personally supports Harvard's race-conscious admissions practices. "I do want to be clear on my personal opinion [which] is unequivocally supportive of affirmative action," she wrote. 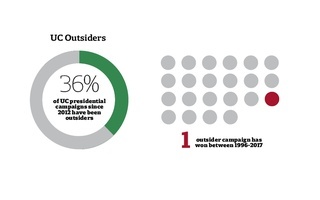 Other Council representatives — including multiple members of the body’s executive committee — said in interviews they wish the UC as a body could be equally unequivocal. “I think it’s important for us to take a stance as UC reps because I think the outcome of this case affects us directly and the student body, in terms of Harvard’s ability to create a diverse student body,” said Victor C. Agbafe ’19, who has served on the Council for three years. Finance Committee chair Gevin B. Reynolds ’19 agreed with Agbafe. In an emailed statement, he urged the UC to “speak up” to advocate for the merits of Harvard’s current admissions system. Secretary Rainbow Yeung ’19, however, said she favors neutrality. 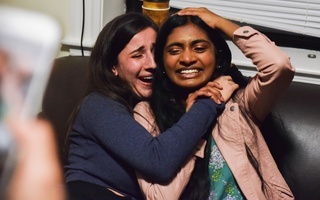 She argued that the case against Harvard is complex and that the jury is still out on the legality of the College’s admissions practices, meaning the Council should tread carefully. “I think it is difficult for individuals to take a stance on the issue without having all facts laid out in front of them,” Yeung added. Three UC representatives — Reynolds, Treasurer Nadine M. Khoury ’20, and Lowell House Representative Julia M. Huesa ’20 — have called on the Council to submit an amicus brief to support the University’s race-conscious admissions practices. If the UC chooses not to file a brief on its own, the three representatives said, the body could sign on to a brief some student and alumni groups submitted in August. “I only just heard of the possibility of submitting an amicus brief, and will be looking into what the UC can do before the case is heard on October 15th,” Huesa wrote in an email. Though they remainedsilent on the admissions suit during the interview, Zhang and Boucher willingly criticized recent proposals to tax university endowments. Last December, Congress passed a $1.5 trillion legislative package that included a tax on university endowment returns. 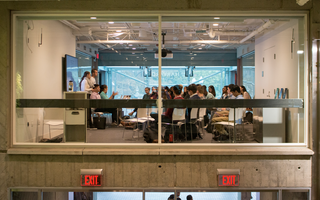 Administrators estimate the tax would have cost Harvard over $43 million in fiscal year 2017. More recently, Jay Gonzalez — the democratic nominee for Massachusetts governor — proposed an even larger tax on university endowments that would cost Harvard roughly half a billion dollars each year. The duo also implored University President Lawrence S. Bacow to maintain current levels of funding for financial aid no matter what happens. In an interview with The Crimson in late September, Bacow conceded he is still unsure where Harvard will find the money to pay the new endowment tax. But he insisted financial aid is the “last thing” he will cut. The headline and text of this article were updated to indicate that Catherine L. Zhang '19 personally supports Harvard's race-conscious admissions policies.